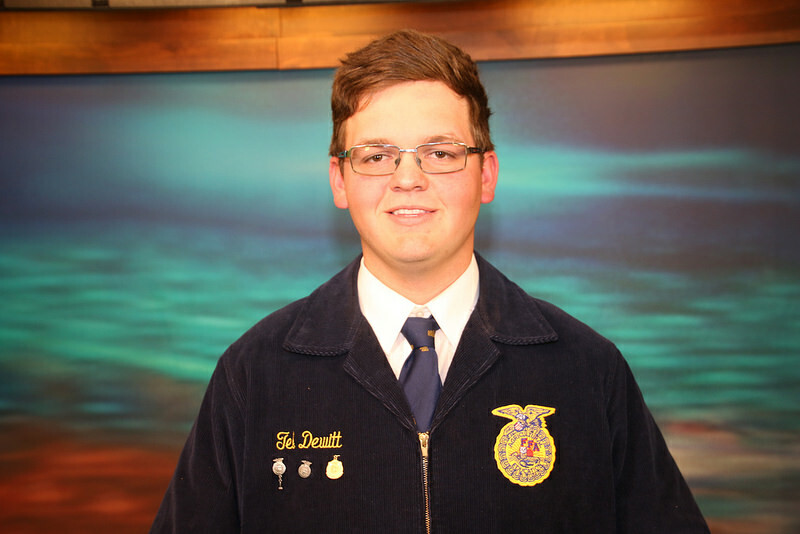 Our coverage continues today with the Northwest Area Star in Agriculture Placement, Tel Dewitt of the Laverne FFA Chapter. Dewitt has had the unique experience of growing up and working on one of Oklahoma’s historic ranching operations in the state’s Panhandle. The Barby-Bailey Ranch was established during the early 1900s and today, Dewitt joins the legacy of its founders, Fred and Paul Barby working cattle on that same land. Dewitt has worked his way up on the ranch, picking up various responsibilities along the way. Many of his essential duties are integral to the ranch’s operations and success - overseeing the herd’s nutritional needs, health and general management. Dewitt has earned his Beef Quality Assurance certification, which has equipped him with the knowledge needed to properly handle and care for his livestock. In addition to his time and effort invested in the ranch, Dewitt has also established his own personal herd of livestock including both cattle and goats. Through his involvement with the FFA, participating in livestock exhibition, public speaking and leading his chapter’s trap shooting team, Dewitt says he has gained the confidence and skills needed to achieve personal success. Upon graduation, Dewitt plans to attend Oklahoma Panhandle State University to pursue a major in Animal Science and a minor in Agribusiness. Long-term, Dewitt intends to add his own chapter to the long history of the ranch, and return to help run the operation while continuing to build his private herd. To hear his entire conversation with Radio Oklahoma Ag Network Farm Director Ron Hays, tap below.